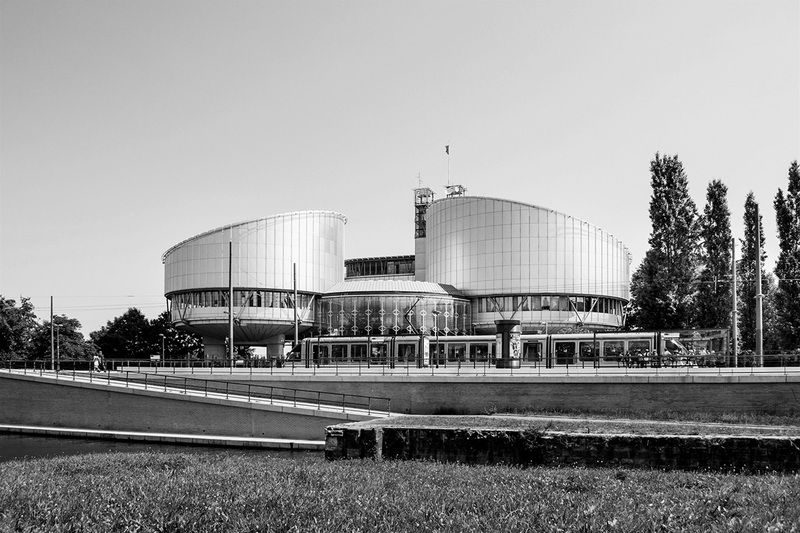 Founded in 1959, the European Court of Human Rights (ECHR) decides on hundreds of cases per year involving fundamental human rights. 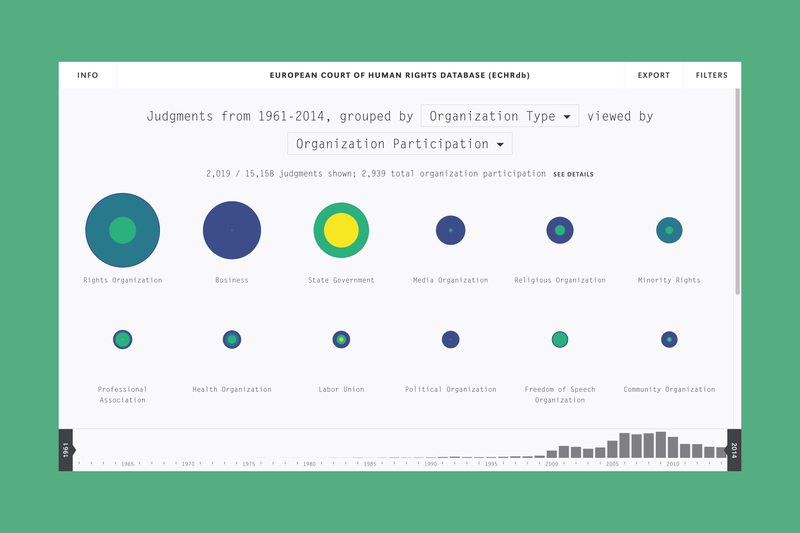 Schema partnered with the Department of Political Science at the University of Washington to create a visualization of the European Court of Human Rights Database (ECHRdb), an innovative application visualizing the cases of the ECHR. 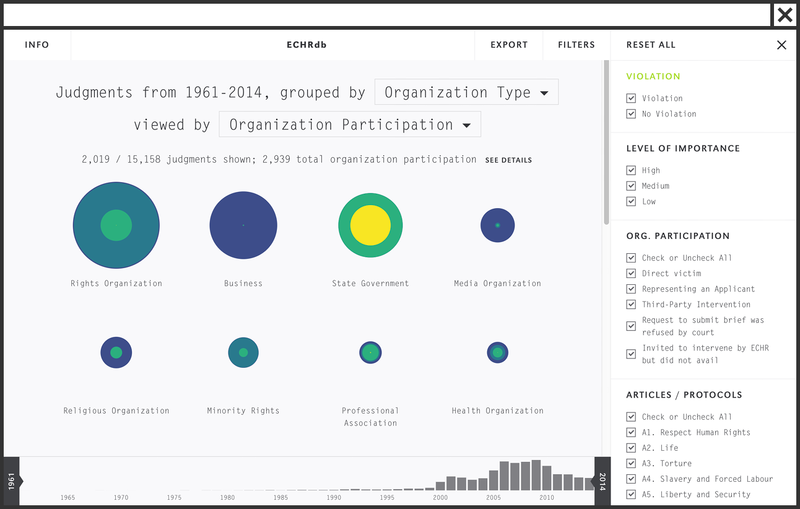 The tool is based on a static dataset spanning the years 1960–2014. 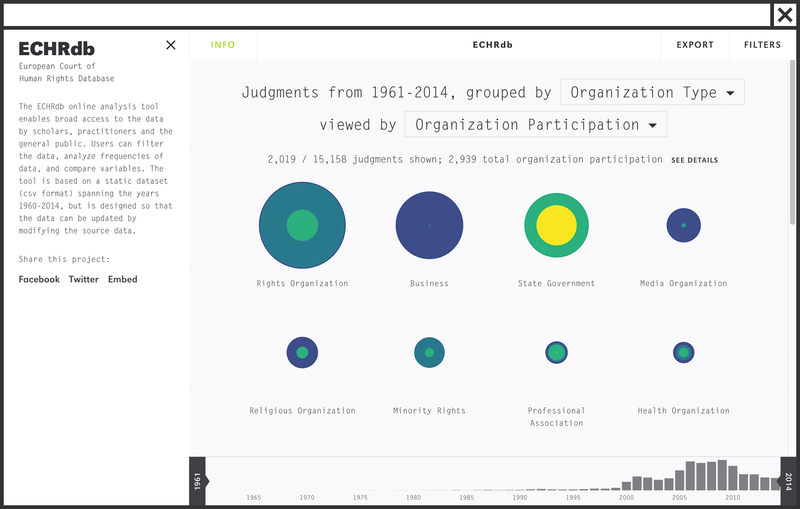 It includes over 15,000 judgments, 91.9% of which were violations, and 1,233 amicus briefs. 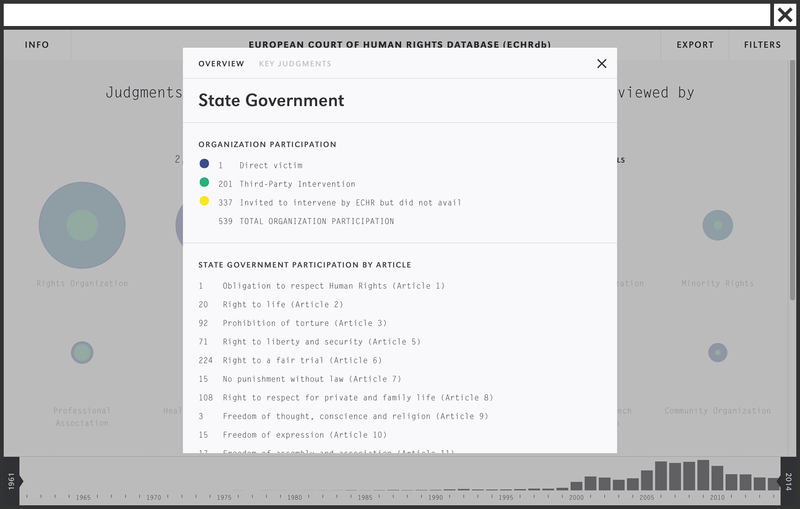 The tool provides a valuable resource for scholars, as well as a platform for educating the public on an important European institution. The project was supported by an NSF grant. 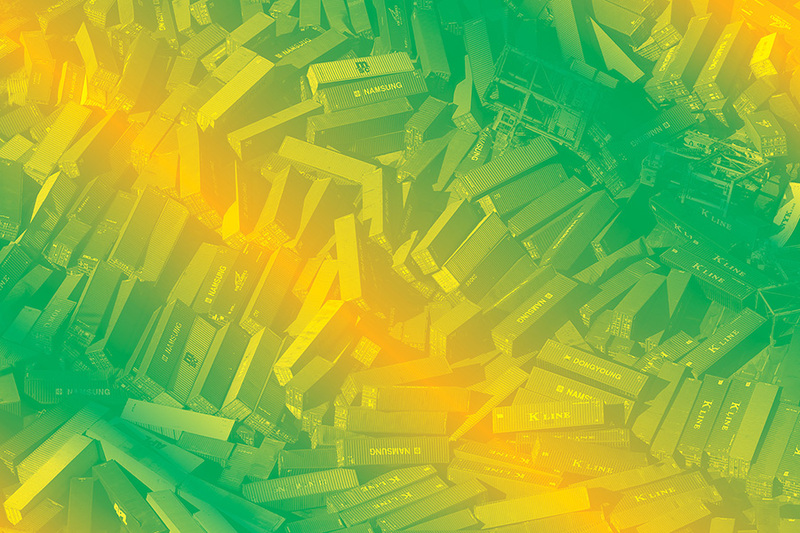 What is a Third-party Intervention? 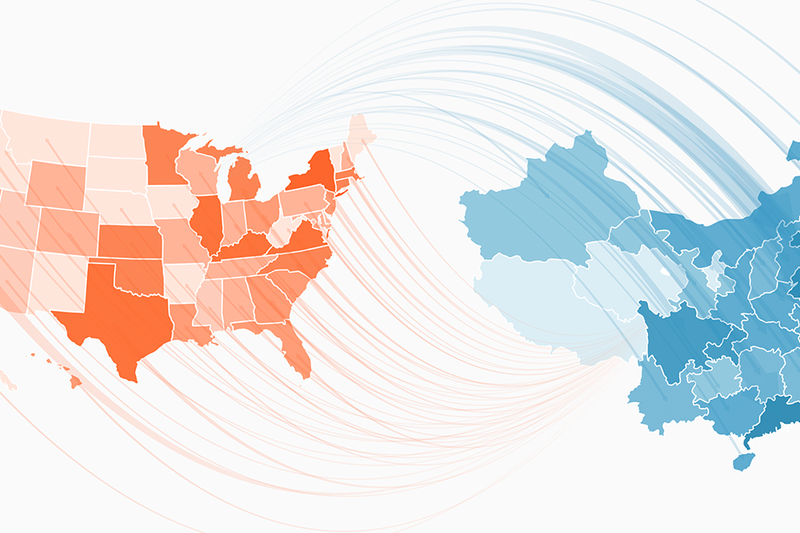 The University had collected data from various publicly available sources and came to us to understand how to make it presentable to an academic and public audience. 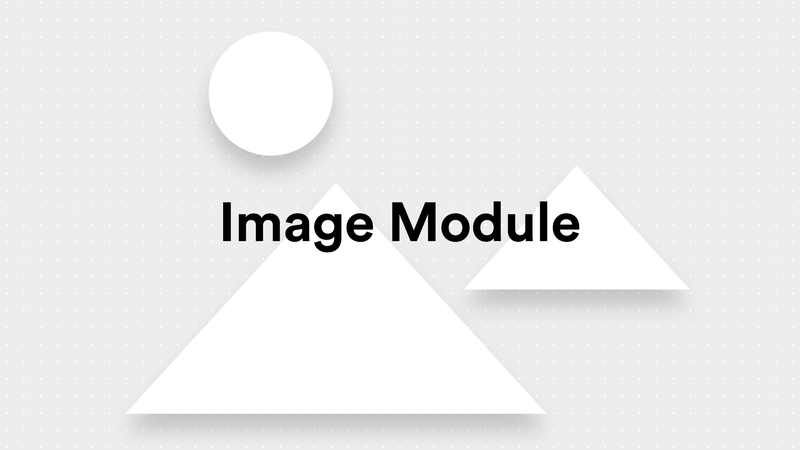 Our process began by identifying the key features for an online analysis tool with the ability to modify the source data and download raw data files from the customizable views. 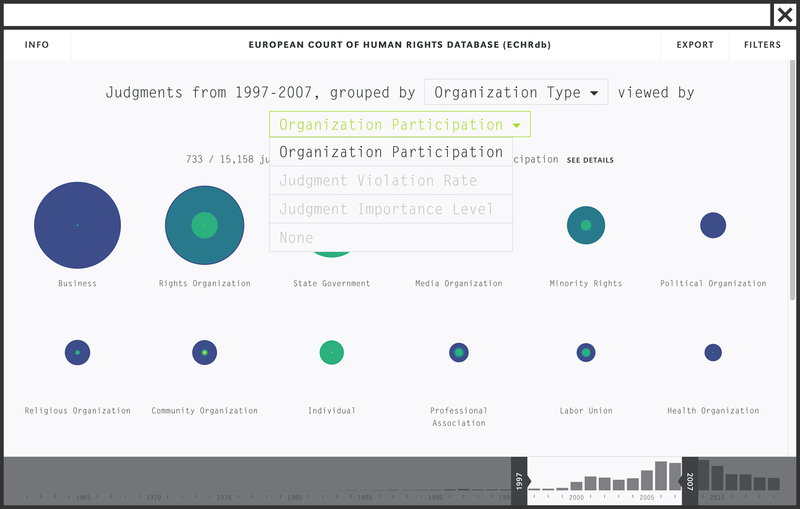 By applying a variety of filters and view settings, users can see a wide range of data on court decisions, from the specific issues covered by cases, to the countries where cases were brought, to the third-party organizations involved. We worked closely with the University on analyzing the data and experimenting with different visualization formats through schematic designs and software prototypes before arriving at the final approach. At this point, we had a accumulated a wealth of research. 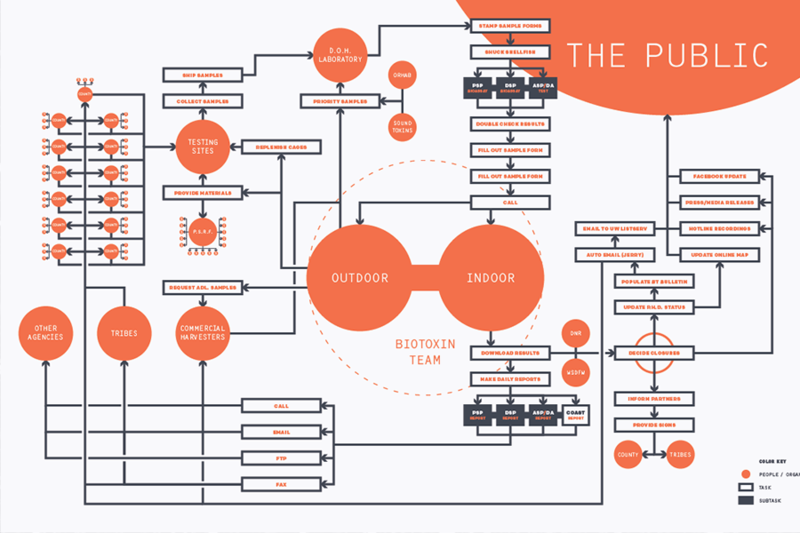 We knew that a comprehensive, “one size fits all” design response would not be feasible. 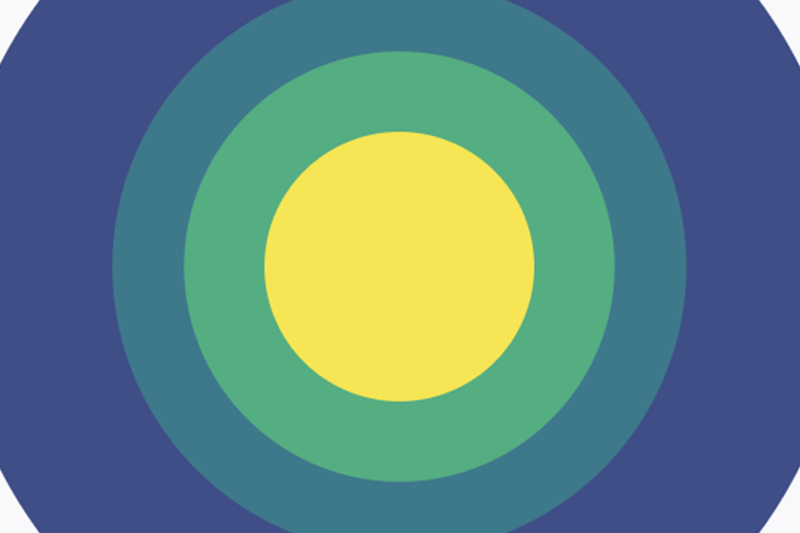 Rather, we decided to narrow our focus and address actionable issues within organizational and technical constraints. The team had mentioned that they would like us to present our design response to their board of directors so feasibility was placed at the forefront. 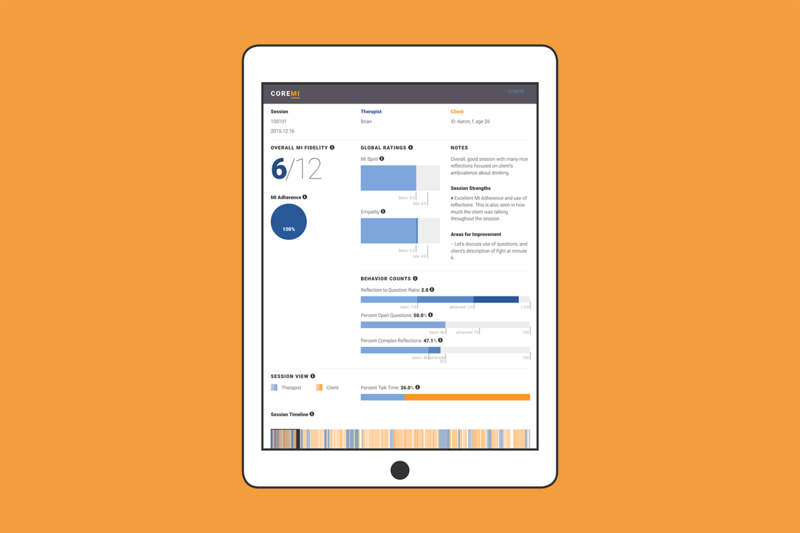 Still honing in on most useful features and functionality, we refined our use case scenario with low-fi mockups. After feedback on our lo-fi sketches, we simplified interactions and implemented more of the visual brand to our mockups. 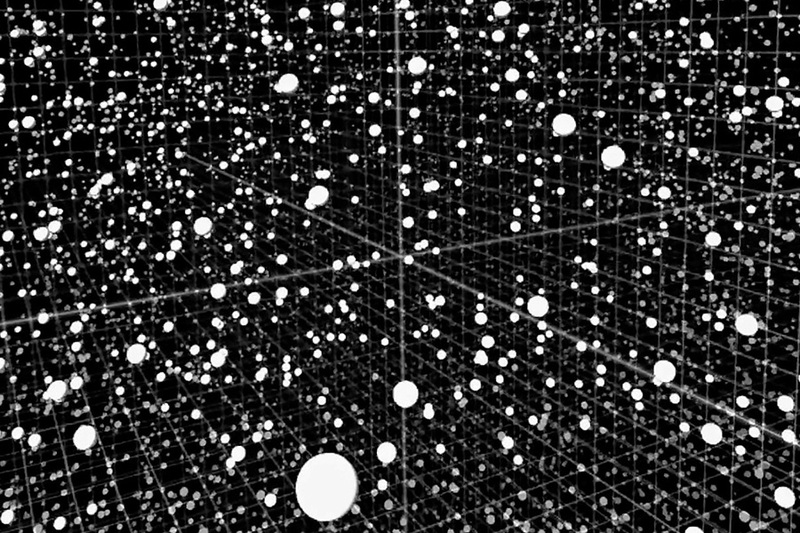 We then imported these screens to Flinto to test a number of interactions. To our surprise, this paragraph ended. 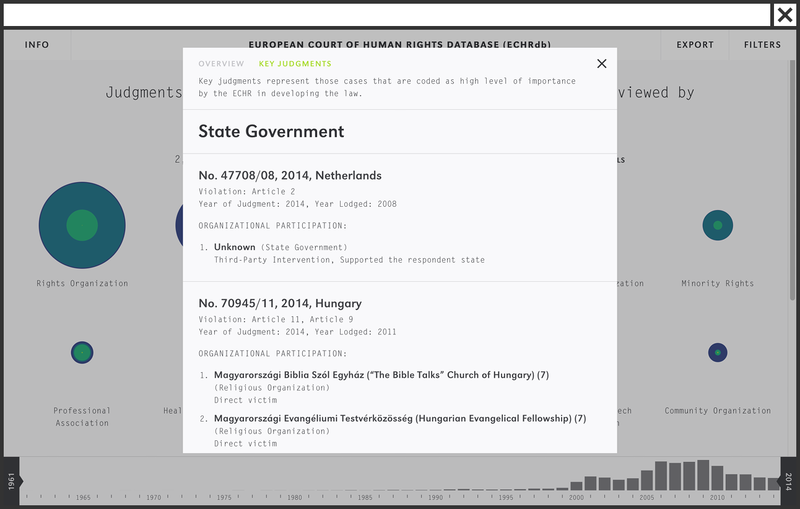 The application enables broad access to cases of the European Court of Human Rights and its decisions. 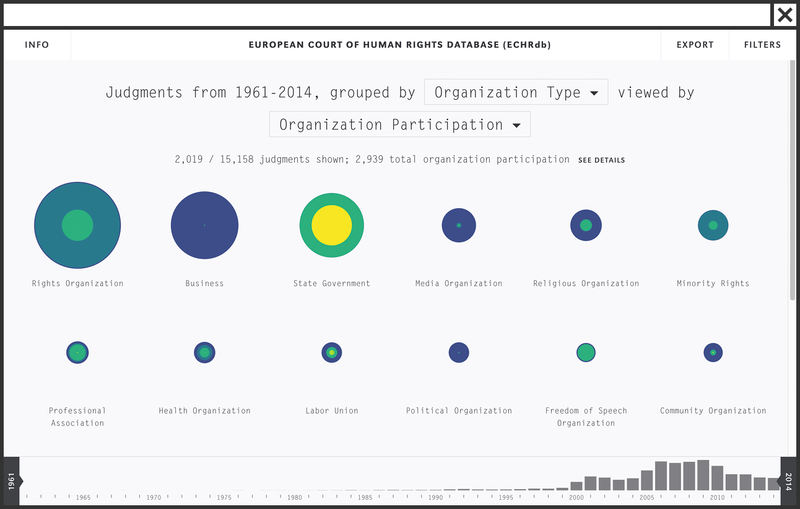 The customizable visualization offers the users the ability to filter the data, analyze frequencies of data, and compare variables. 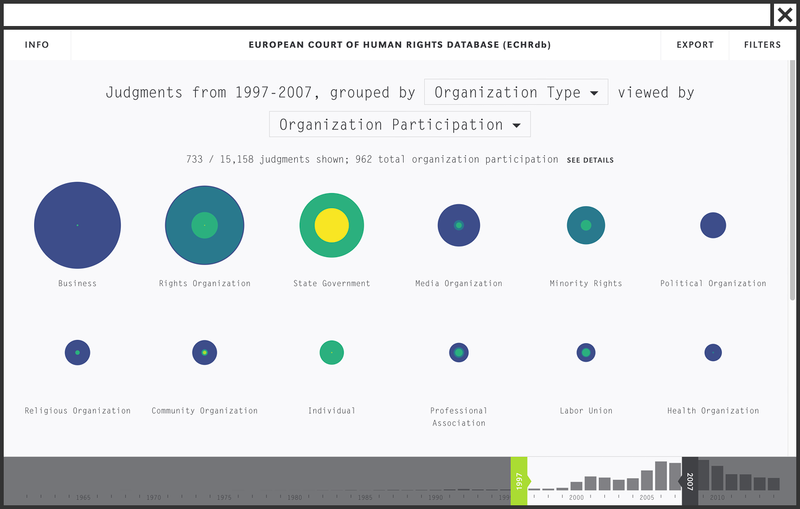 The ECHRdb was built using Arrays, Schema Design’s data visualization platform.